About an enjoyable day, the thoughts it caused, about past, current and future work that may or may not happen. A tale about a work completed with this blog entry - which may go further. It's Saturday. I'm reading the Guardian magazine. I like the Your Photos page. Always look at it but have never entered a photo. The next theme for entry is 'missing'. I remember a photo I took in Lacock. What is missing? A second glove? A person? 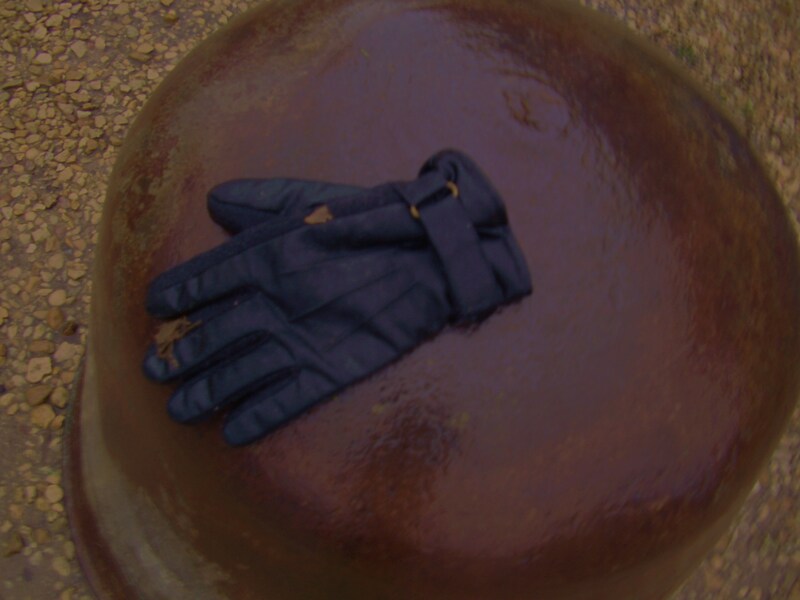 This glove? A person's hand? I did not take this picture because something was missing. I took this picture to confront my fears. It constantly alarms me to find stray items of clothing within the environment where they do not belong; scarfs, knickers, tights. I am not one of those who think everything has a place. I can and often do welcome chaos. I nearly always wonder how the stray items got there. What is the story? I sometimes give them stories. My stories are usually about some kind of foul play. There are no nice stories for missing items in my world. If you know of one please tell it below in the comments box. My day rolls on. I am in the Speedo shop, Covent Garden, trying on swimming trunks. My wife is with me. She laughs and points me in the direction of the Speedo logos. On one of them a joker has removed the 's' to leave behind 'peedo'. I helpfully point it out to the young shop staff who giggle. Maybe they had never thought of it before. Sometimes when things go missing it reveals something else. I am reminded of an advertising campaign 'Who put the Tea in Typhoo'. Who put the criminal in Speedo?. What is revealed when something else is taken away? I consider it as a Disability Equality Trainer. I ask what is disability on a fairly regular basis. Replies often start as something is missing, a body part or an ability. I guess i seldom think at that stage of the analysis; yes... but what happens when something is missing. Do we always have to reveal the monster, does it always have to be about who our friends really are for as many of us know when we have a bit go missing often our friends will go AWOL too. I go home, put on the computer and look at DAO;s homepage. SHAPE are doing an Open Exhibition. Their theme is disability. They identify definitions of disability that they want artists to respond to. I read the definition as being about impairment. I think something is missing. It doesn't seem to be looking for 'social model' ideas. I consider getting my pens and flipchart out, writing it up, photographing it and presenting a triptych. I would love to do a triptych. But perhaps i should present the two photos here and a blank piece with nothing on it - as if something has gone missing. It's Saturday. I look at last weeks Guardian Magazine. I have missed the submissions page. Will I, won't I make the SHAPE deadline?